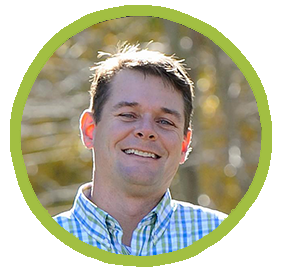 Welcome to Meet the Teacher – CodeMonkey’s blog segment where teachers from all over the world share their experiences on what it’s like being an educator. 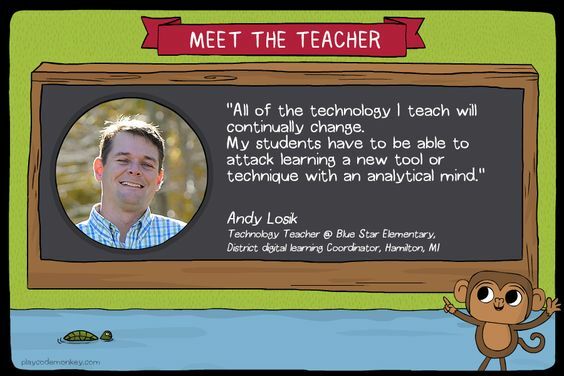 Today’s post features Andy Losik who is a Technology Teacher at Blue Star Elementary School and a District Digital Learning Coordinator in Hamilton, Michigan. “Although I come from a family of teachers, I wanted to be a sports writer. Unfortunately, my very small college didn’t have a journalism major. So when I took a class that involved helping out at the on-campus preschool it was obvious that I was called to do this. What I love most about teaching is the kids. Seeing growth and “ah-ha” moments are infinitely rewarding. We need to teach students to think for themselves and encourage them to continue to learn. All of the technology I teach will continually change. My students have to be able to attack learning a new tool or technique with an analytical mind.